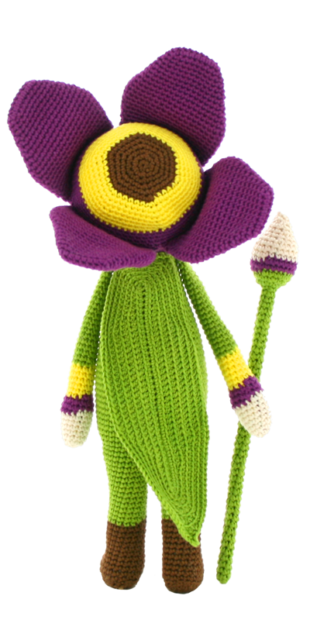 Tulip Theo is very social and very clever. 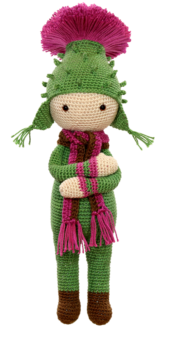 He is a great listener and always stays calm. 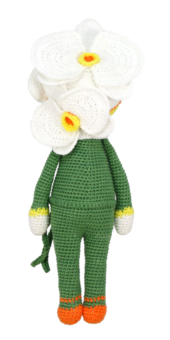 When a flower has a problem they come to him for advice. 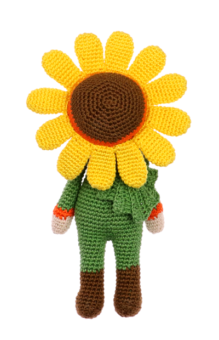 He manages to help the flowers time after time. 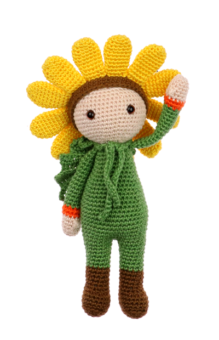 Think of the right solution and make everybody happy. 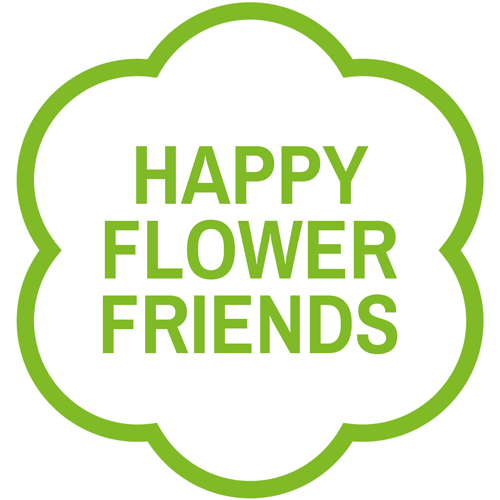 All flowers have great respect for him. 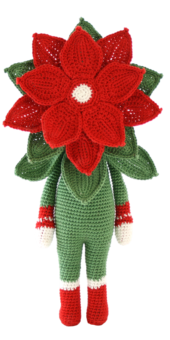 It is no wonder he was chosen king of the flower people. 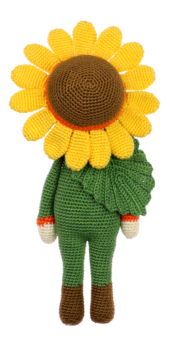 He wears his flower crown with pride. 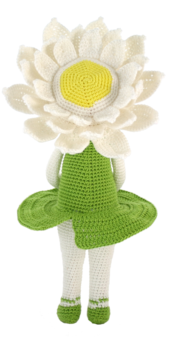 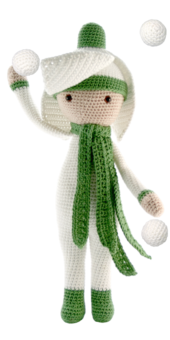 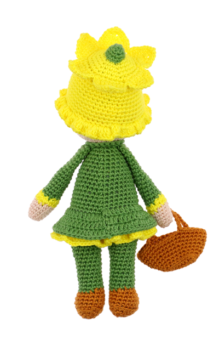 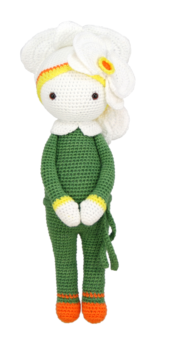 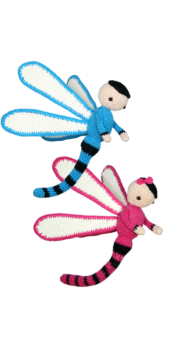 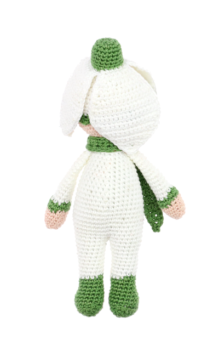 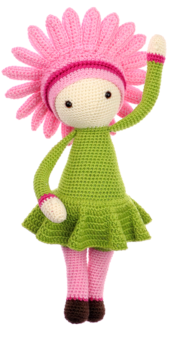 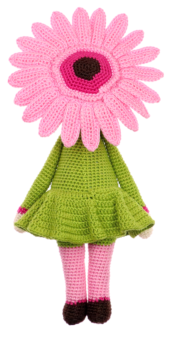 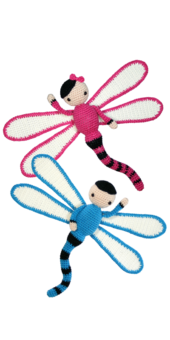 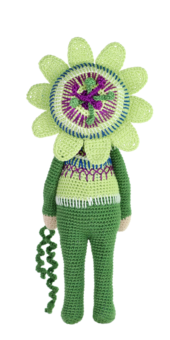 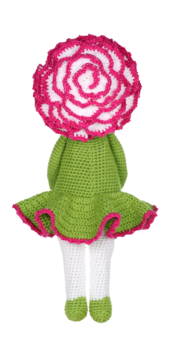 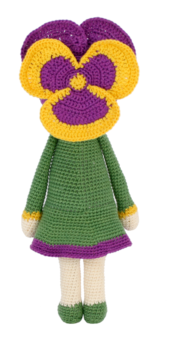 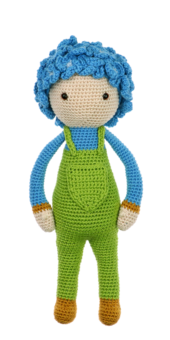 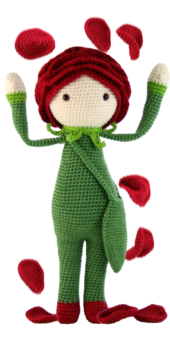 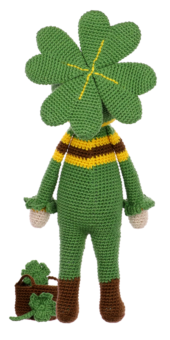 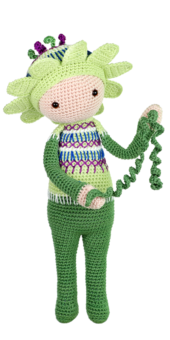 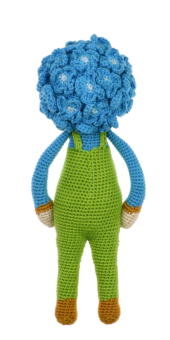 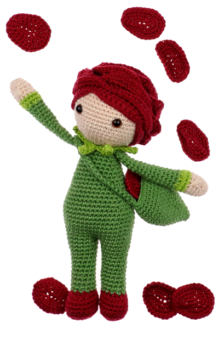 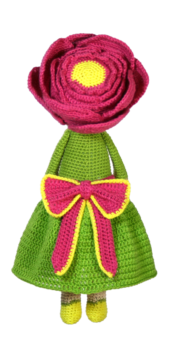 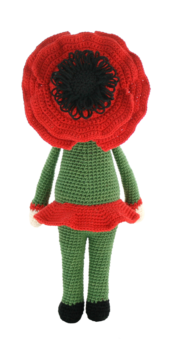 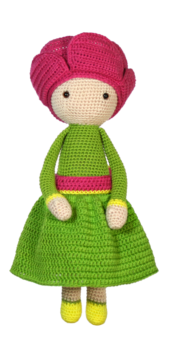 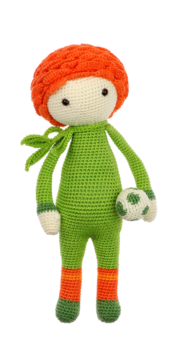 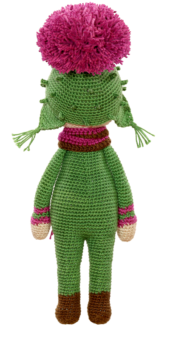 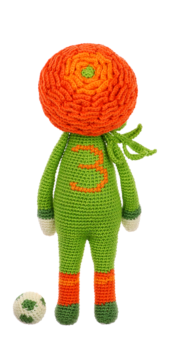 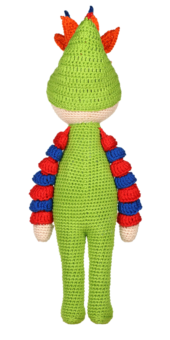 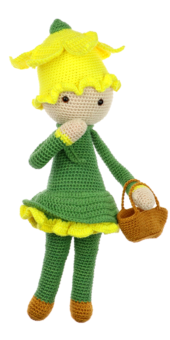 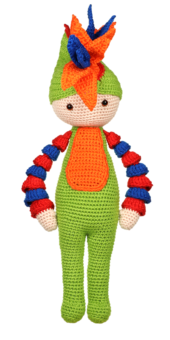 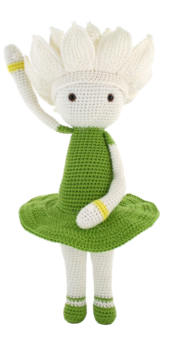 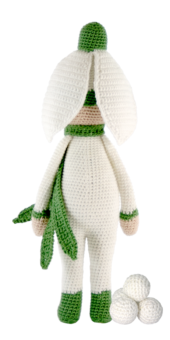 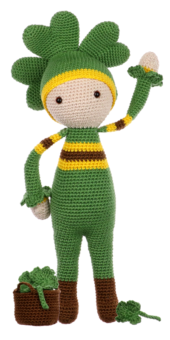 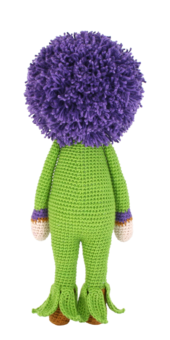 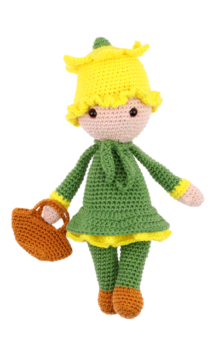 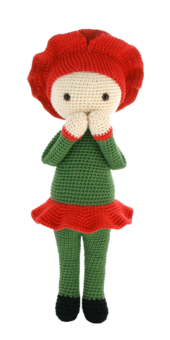 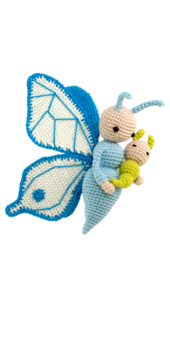 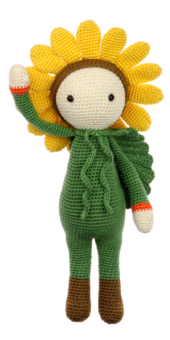 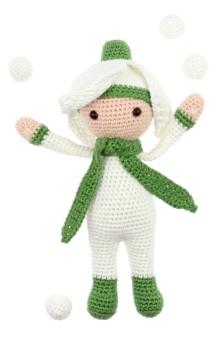 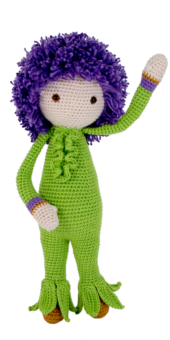 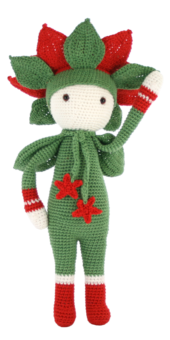 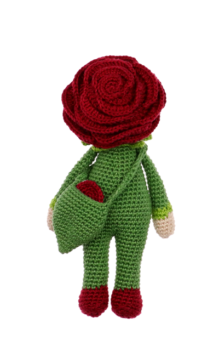 Tulip Theo is a crochet pattern or amigurumi pattern. 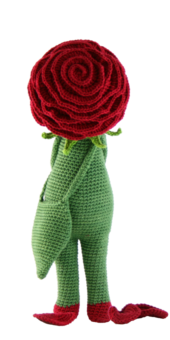 Theo will turn out about 28cm/11inches excluding petals. 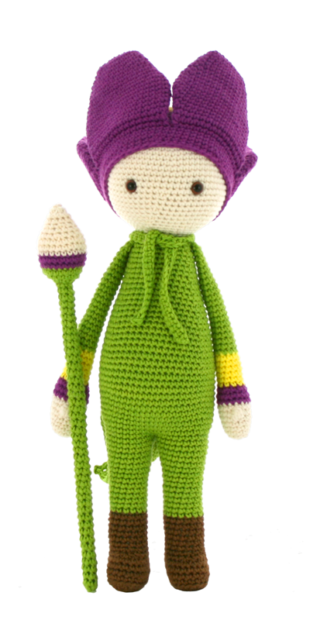 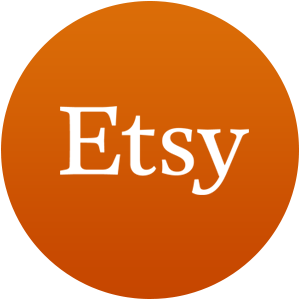 You need a standard crochet hook size 2.5mm (US 1,5), tapestry needle, soft stuffing, eyes size 7mm, wire, tape and pliers. 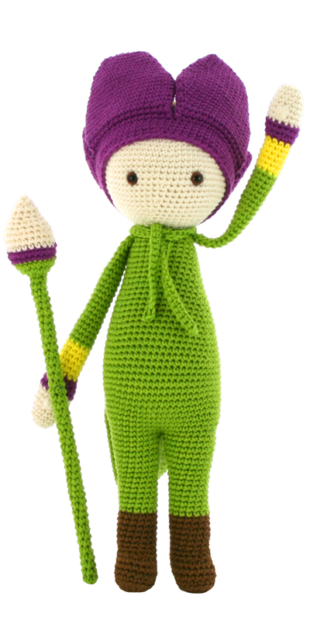 Five colors of yarn calling for 2,5 mm (US 1.5) crochet hook, like green, purple, yellow, brown and creme. 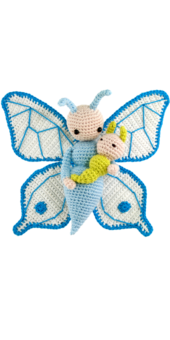 You need to know how to make a single crochet, a half double and a double crochet, a slipstitch, increase and decrease, and a magic ring or loop. 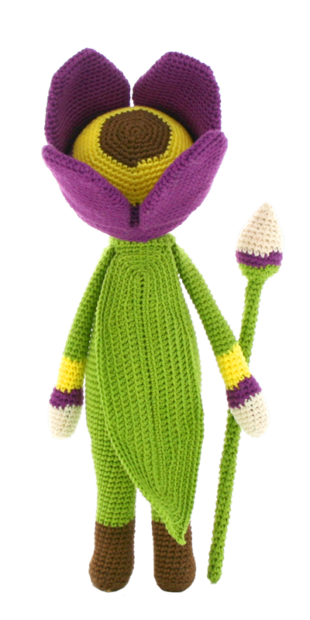 Theo is a lot of fun to make. 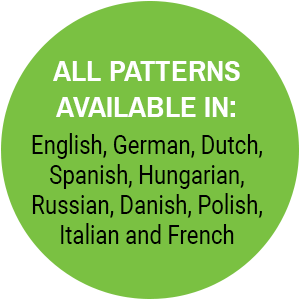 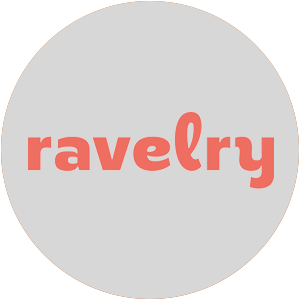 version: EN1.03 - published November 28th 2014 - Improved punctuation and grammar. 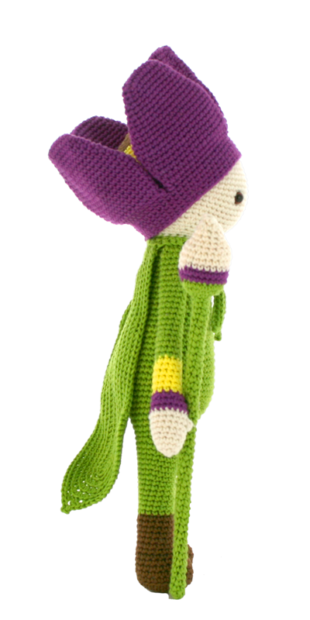 version: EN1.02 - published September 10th 2014 - Added note "with purple" to round 14 of the cap. 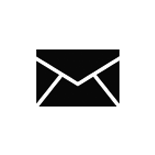 version: NL1.02 - published November 28th 2014 - Improved punctuation and grammar. 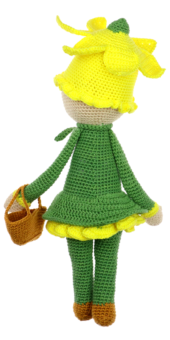 version: NL1.01 - published September 10th 2014 - Added note "met paars" to round 14 of the cap.